Inspecting different types of existing nanostructured materials (and prospective nanostructured materials which are under discussion in the current literature) we can find many types of them which satisfy the above definition of metamaterials. 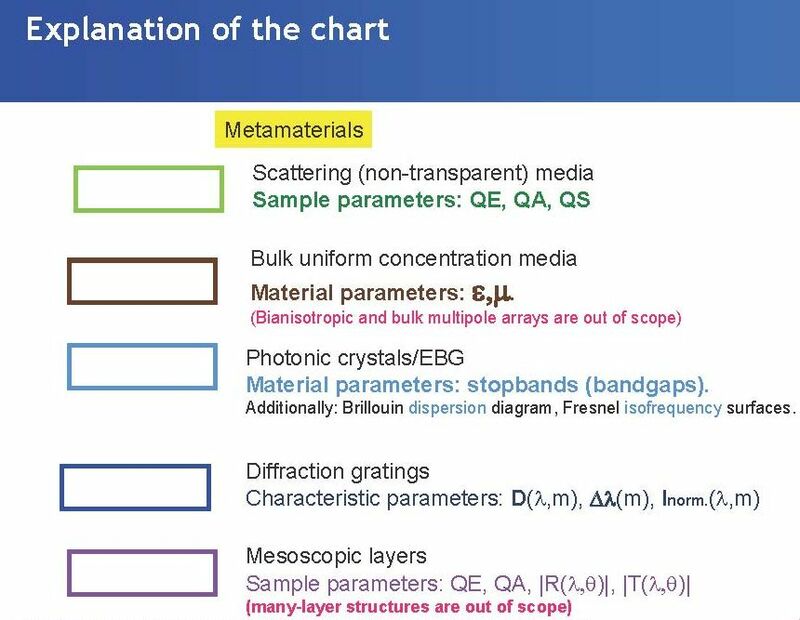 To show the place of nanostructured metamaterials among all nanostructured materials it is instructive to suggest a classification of NSM. 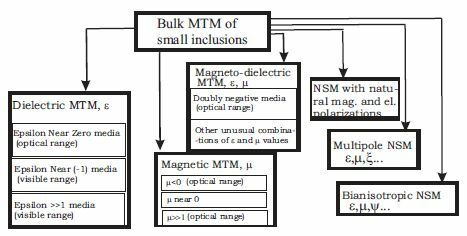 Possible classification is presented in a form of a table and is related to the characterization of linear electromagnetic properties of NSM. Different types of NSM should be characterized by different sets of electromagnetic parameters. 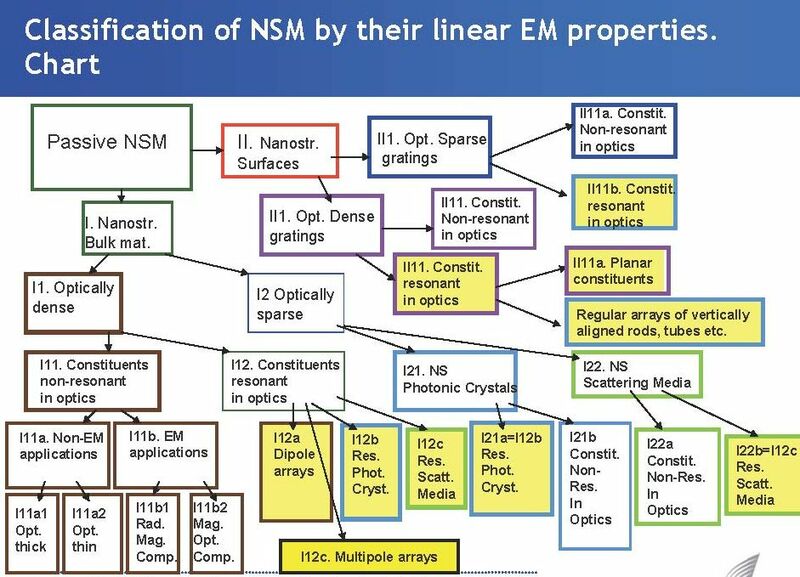 This classification takes into account the internal geometry of NSM and most important linear electromagnetic properties of constituents and effective material formed by them. The most important criterion of the classification is the dimension of the array of constituents which form the nanostructured material. 3D or bulk materials correspond to structures with a large number of constitutive elements in the array along any direction. 2D or surface materials correspond to the case when the artificial material is a layer including only 1-3 constitutive elements across it. Analogous classification can be possibly suggested for non-electromagnetic metamaterials. wave number in the structure and a is the size of the lattice unit cell. scheme by definition covers IR, visible and near UV ranges. This table is used on this website to relate expertise available in the European laboratories here. and see our file archive here and our facilities database.